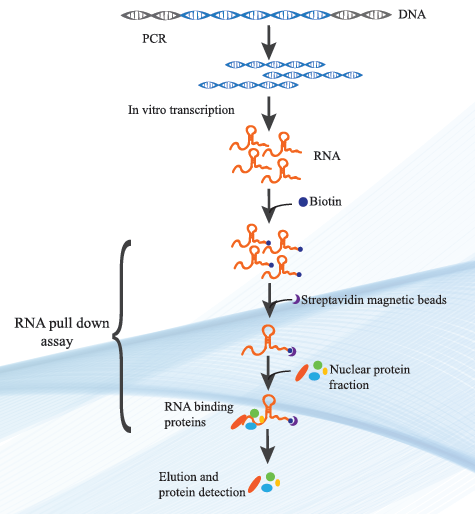 1.Identification of RNA-Protein Interactions Through In Vitro RNA Pull-Down Assays. Methods MolBiol 1480:99-113(2016). 2.The long noncoding RNA ASNR regulates degradation of Bcl-2 mRNA through its interaction with AUF1. Sci Rep 6:32189 (2016). 3.Silencing of the mRNA-binding protein HuR increases the sensitivity of colorectal cancer cells to ionizing radiation through upregulation of caspase-2. Cancer Lett 393:103-112(2017).